Mongoose Casino puts fairness and security in the forefront of all our conducts, including payments, gameplay and overall services. We know for a fact that fairness and transparency is the only way of building trust from our players and Mongoose Casino has taken all possible steps to ensure that fairness is maintained in the highest order. All our games are audited and verified by eCogra, an internationally accredited online gaming testing authority, based in London. We have our payout percentage reviews for all our online casino games updated and published on a regular basis and any visitor can check them out here. In case of issues with internet connections while playing games, players should be able to resume their gameplay when reconnected. Mongoose Casino has taken vital steps to ensure that our all our player’s financial and non-financial information are kept confidential and handled with complete security. By employing some of the best available SSL encryptions on our website, we ensure that customer data are protected with multiple levels of security encryptions. Upon any inquiry regarding confidential or dispute matters, we welcome our customers to contact us. All matters regarding support should be submitted via our Mongoose Casino customer support form which is easily accessible from the support button on the bottom right of your screen. Mongoose Casino takes gambling purely as a form of adult entertainment and only allows players above the age of 18 years old to use our services. Furthermore, we understand the possible negative effects of online gaming which is why we have taken various measures to ensure that our players do behave in the only manner that was originally intended. Mongoose Casino is licensed under the jurisdiction of the Government of Curacao and operated under their license number #365/JAZ. Mongoose Casino is managed and operated by Season Ever Ltd., which is incorporated with registered address P.O. Box 957, Offshore Incorporation Centre, Road Town Tortola, British Virgin Islands. All functions and operations of Mongoose Casino is closely monitored and audited by the Government of Curacao. The jurisdiction is known to be one of the oldest authorities to offer regulated eGaming licenses (1996) and has been one of the most trusted and credible authorities to monitor online casinos and their services. The Government of Curacao requires online casino operators to comply with strict guidelines under their jurisdiction which ensures fairness, trust, security of players and gaming services are given utmost priorities. The jurisdiction lists various criteria that need to be fulfilled by the operators, which are primarily directed towards player protection. 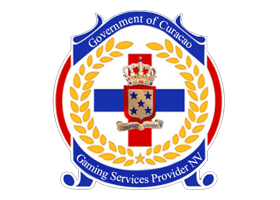 The official Curacao eGaming License seal attests assurance that the service provided by online casino complies with the authority’s guidelines. Curaçao is physically based in the Netherlands Antilles and is an autonomous part of the Kingdom of the Netherlands. Curacao is known to be one of the most politically stable regions that regularly update their policies and regulations on online gaming to upkeep with player protections. For full information on our Curacao eGaming License, click here.